Max Scherzer’s new seven year $210 million contract is a good example of how proper tax planning in a negotiation can increase its’ overall net (after tax) value. Much has been made of the resident and non-resident tax liability that professional athletes face in the multiple states and cities in which they preform services. Often referred to as the “Jock Tax” this liability is unique to each professional team and is determined by each team’s home and away schedule as well as the state of residency of the athlete. In salary negotiations there are several ways to structure a contract which enables a client to receive the greatest after tax value or “net value”. In Max Scherzer’s recent contract with the Washington Nationals, there are two ways in which proper tax strategy enables his deal to exceed the net value of Clayton Kershaw’s $215 million contract signed just last year. First, The Home Rule Act prohibits the District of Columbia from imposing a commuter tax on non-residents. Should Scherzer establish his residency in one of the six states with no income tax, he will only need to pay income tax on games played in jurisdictions that impose a tax on non-residents. 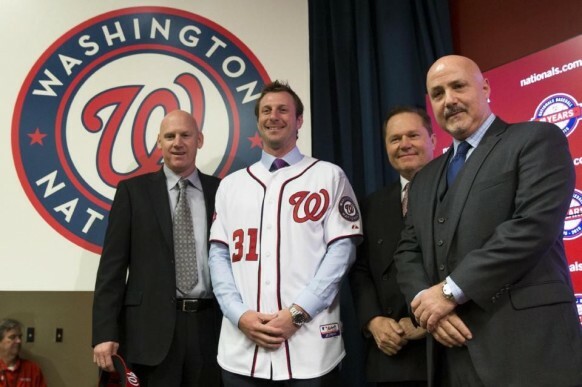 By establishing residency in one of the six states with no income tax as opposed to being a resident of the District of Columbia which would make him liable for resident tax, Scherzer increases his net value by nearly $10 million. The second area that provides an opportunity to increase the overall net value of Scherzer’s contract is the large signing bonus. A true signing bonus is only taxable to the resident state and doesn’t need to be allocated to other states and therefore will not be taxed in those states. Should Scherzer establish residency in one of the six states with no income tax, he can escape state tax completely on the signing bonus. Since $50 million of Max Scherzer’s $210 million contract is a signing bonus, how he structured the wording in his contract and where he establishes his residence will potentially save him from having to pay state tax on 45% of his entire income. $105 million of Scherzer’s contract will be differed over seven years therefore making his contract in essence $15 million in signing bonus and salary spread out over the next 14 year. In order to gain an accurate picture of the net value of Scherzer’s deal the after tax value needs to be converted back into today’s dollars. There are similarities in Clayton Kershaw’s contract and that of Scherzer with the big exception that Kershaw signed with the Los Angeles Dodgers and performs services in the state of California. With Kershaw’s recent purchase of a house in Studio City the state of California will likely consider him a resident of the state and tax him accordingly. Although Kershaw receives a greater amount of money over a shorter period of time the net value of the contract can’t overcome California’s tax liability in spite of receiving nearly 100% tax credits for taxes paid to other states. As the evaluation of Scherzer’s contract demonstrates, although contracts are often judged by the gross value written on the contract it’s important to understand how proper tax strategy can lower the tax liability of an athlete and therefore increasing the actual net value from the contract. ©2015, Alan Pogroszewski. All Rights Reserved.